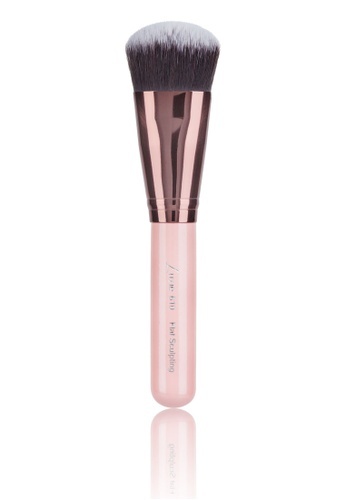 Achieve a strong contour with this Luxie Rose Gold Flat Sculpting Face brush that was designed with vegan synthetic fibres. This flat and versatile brush allows for a percise and defined application of contour to the face. The short and firm bristles are great for applying cream and powder contour, plus it can also help apply cream and powder blushes to the apples of your cheeks. Give it a try, you won't regret it! Can't find Flat Sculpting Face Brush in your size?